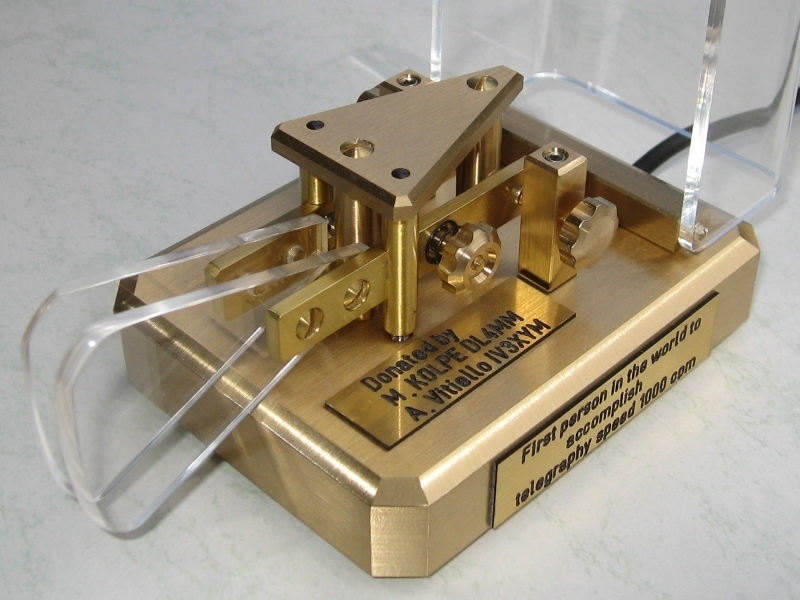 Mathias Kolpe, DL4MM, and Alessandro Vitiello, IV3XYM, authors of RufzXP software, donated a precious CW keyer to the first person in the world who is able to copy a telegraphy speed of 1000 cpm (200 wpm) under supervision of referees. Speed 1000 cpm (200 wpm) is now officially cracked! 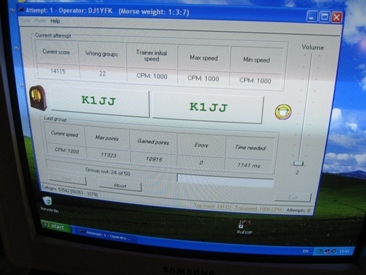 In a special RufzXP competition at the IARU High Speed Telegraphy World Championships seven competitors attempted to crack speed 1000 cpm. And even two of them finally did it! And two more copied callsign(s) with only one character wrong. Under the supervision of official IARU RufzXP referees Mathias Kolpe, DL4MM, and Tomá Mikeska, OK2BFN, and other spectators both Goran Hajoevic, YT7AW, and Fabian Kurz, DJ1YFK, managed to copy at least one out of 50 callsigns at CW speed 1000 cpm (200 wpm) without any errors. 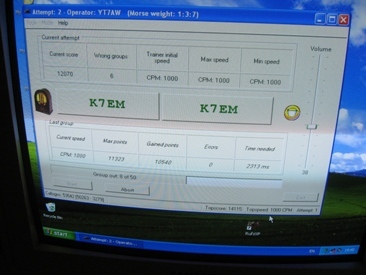 But the winner of the keyer donated by DL4MM and IV3XYM was Goran Hajoevic, YT7AW, because he needed less (7) callsigns than Fabian (23). While the awarding ceremony of the HST championships the price was handed over by one of the donators, Mathias Kolpe, DL4MM. Unfortunately second donator Alessandro Vitellio, IV3XYM, was unable to attend. This was an historic moment. What comes next? Do you want to listen speed 1000 cpm? Listen the word "PARIS"
Regarded by many as simply the best paddle ever made, the Profi (Professional) II comes complete with tilt-open dust cover and connection cable. Large adjustment knobs for contact spacing and spring tension allow precision adjustment while preserving stability. A Profi II virtually never needs to be readjusted. Adjustments can be made by hand and there is no need to touch the locking screws. The contacts are convex, and gold plated. The hand-finished fingerpieces are shaped for maximum comfort while preserving precise control. The base, machined from a solid block of surgical-quality brass, is coated with a trade-secret polymer that resists wear, staining, and pitting over a lifetime of use.